Just popping in to share a bit of my Saturday with you. 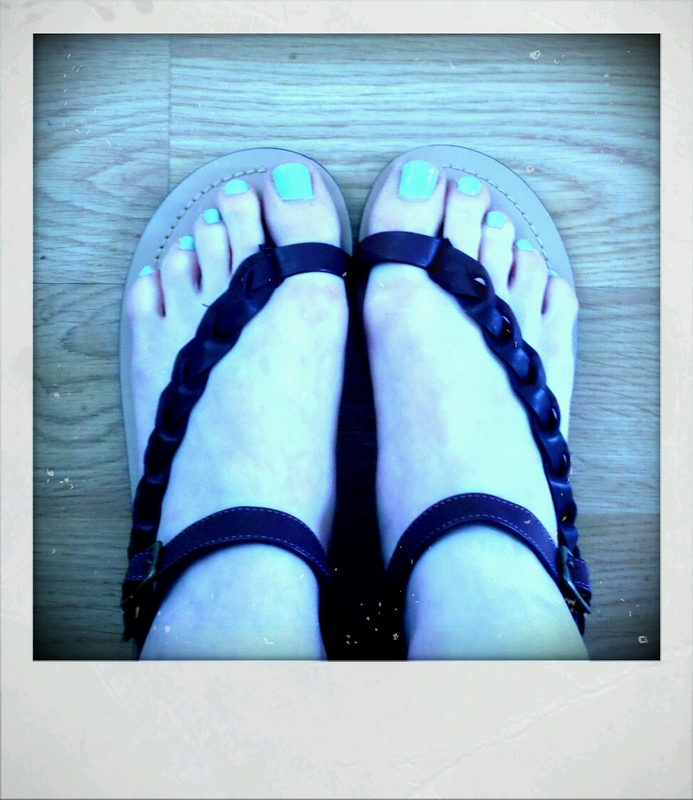 New sandals! Not just cute new sandals, but look at the price. I would call this a major score! Also, our neighborhood has a little farmer's market each weekend. Every once in a while they have a junk sale where anyone can bring their stuff to try to sell. 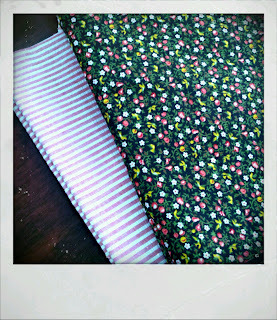 It was really a dud except for this sweet old couple selling yards and yards of fabric. My favorite part was chatting with them. I asked if she quilted, and the husband popped in, gushing about how she made lap quilts and she cut all the squares out and on and on... He was so proud of her. It was sweet. 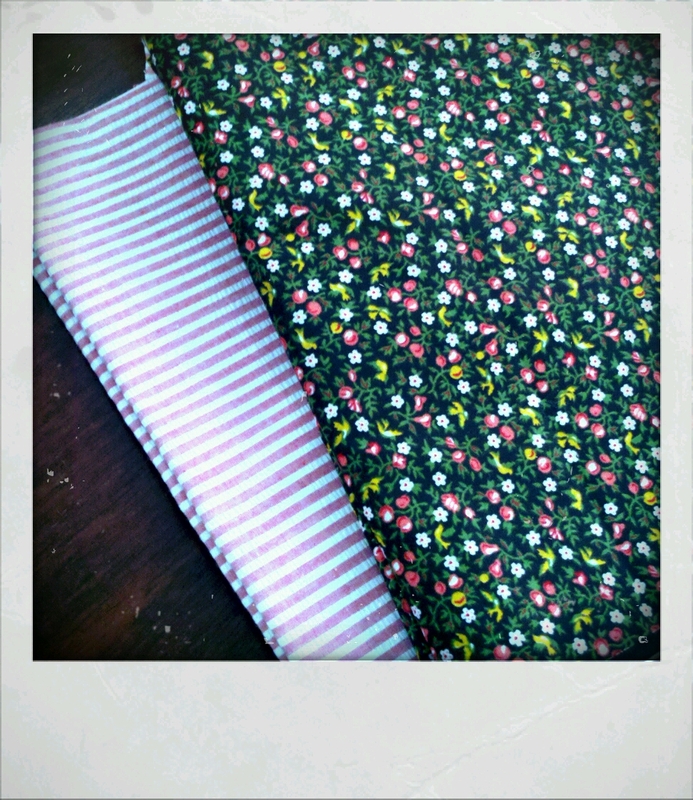 These are the two fabrics I chose. It was a nice, relaxing Saturday, full of deals. Hope your day has been great! Sounds like a lovely Saturday! Mine was alas not as full of deals, but good nonetheless. Cute blue toes! I was at Target today too! They had all of their girls jeans for $2.47!! 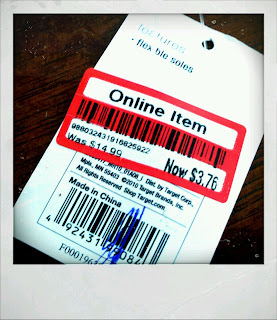 But what I needed was boy's jeans and they were $6.48...still a good deal just not as good as the girls ones! that sounds just about perfect - pottering here and there, buying a little of this and that, and those toenails are fabulous? Forgot to say, I gave you the "One Lovely Blog" award. Check my post to see what that means! I love the aqua! Target is my favorite place to shop for shoes but I've never found any that cheap. What a great find!